By taking part in our auctions you accept our general conditions of sale, so please take notice of them. 1. The auction will take place publicly and voluntarily. Participation means acceptance in full of the Terms of Auction, considered as known, of Corinphila Auktionen AG (hereafter referred to as the Auctioneer) by the Purchaser (hereafter also referred to as the Bidder or Buyer). 2. All lots mentioned in the catalogue may be inspected by Bidders before or during the auction. The Bidder will be held responsible for any damage caused during the viewing. The Auctioneer has absolute discretion to deviate from the lotting order, to combine two or more lots or to withdraw any lot from the auction. The estimated prices in the catalogue are not binding. The Auctioneer is also authorized to refuse any person’s attendance at the auction without giving any reason. 3. The lots are described with greatest care and to the best of the Auctioneer’s knowledge. The descriptions do not, however, constitute any particular guarantee. The catalogue illustration prevails as regards the margin, centring, separation and postmark of the stamps. Claims concerning quality and authenticity of single lots must be made immediately by the Buyer being personally present. In the case of written bids for single lots, claims must be made in writing within three days after receipt of the goods. In the case of collections or mixed lots containing two or more stamps which are not described individually, no claims will be accepted regarding quality and authenticity. Complaints must also be refused if the stamps are not returned in the original condition, or if they have been altered afterwards by the Buyer, except in the case of marks made by a recognised expert who is responsible for his errors. 4. The Auctioneer is liable for the authenticity of all single lots sold for a period of 5 years. This guarantee is expressly excluded in respect of collections, accumulations or mixed lots containing more than two stamps which are not described individually - those lots are excluded from any claims. The bidding for single lots which have been certified by an expert denotes the acceptance of the certificate by the Buyer, and in this case the Auctioneer cannot be held liable. If a prospective buyer wishes to bid with an extension on any single lot, the auctioneer must receive notice in writing at least 24 hours prior to the day of the auction; this written notice must give the reason why an extension is required and whose expert opinion is to be sought; the latter must be agreed by the auctioneer. Extensions for expert opinion will normally only be considered for reasons of genuineness or classification; requests for extension for reasons of condition will be decided by the auctioneer on behalf of the vendor prior to the sale. The auctioneer reserves the right to cancel any bid with an extension (notifying the bidder of his action) if in his opinion the item is not as described within the terms of the request for extension. All extensions must be cleared within 20 days of the auction, after which time the right of return is forfeited. Extensions are not granted on mixed lots or collections. All costs and charges for expert opinions are the responsability and liability of the buyers. 5. Any party may participate in an auction as a Purchaser. However, Corinphila reserves the right at its complete discretion to prevent any person entering its premises or attending or participating in its auctions. 6. The lots will be sold to the highest Bidder upon three calls. The Buyer shall pay a commission of 21% added to the hammer price. 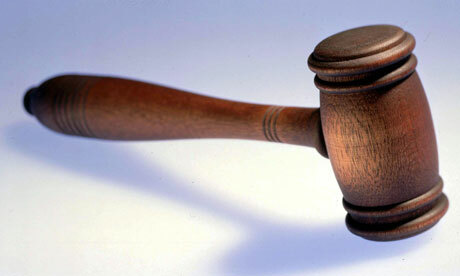 Bidders are bound to their bids if a subsequent higher bid is invalid or immediately refused by the Auctioneer. Start prices, bids, hammer prices and invoices exclusively in Swiss Francs (CHF). Start prices in Euro (EUR) indicated in the catalogues are only for information. 8. Written bids which are higher than the best bid of a Bidder present will be considered carefully and in the Bidder’s interest but without prejudice. Written bids received later than 2 hours before the start of the auction sale session may not be processed. In the case of two or more identical bids, the first bid received will be deemed to be the succesful bid. In case of doubt, disputes or misunderstandings, the lot will be auctioned again. This decision will be made by the Cantonal authority. 9. Upon the fall of the Auctioneer’s hammer, a sales contract is entered into between the Auctioneer and the Bidder. The Buyer is obliged to accept the goods. The risk passes to the Buyer with the fall of the hammer; title of ownership, however, passes to the Buyer only after full payment of the total amount due. 10. The total amount due is payable in Swiss Francs (CHF). Foreign currencies will be accepted to the extent of the amounts credited by a principal Swiss bank; any costs arising from exchange rate differences will be borne by the bidder. In addition to the hammer price including the 21% commission, the Swiss value-added tax (VAT) of 7,7% is payable. VAT is not payable by Buyers from abroad possessing a legal direct export declaration. If Buyers from abroad wish to export the lots themselves, VAT will be debited and refunded upon presentation of the legal export declaration. 11. Payment of lots is due on the day of auction unless the Auctioneer has granted terms of payment of 5 days thereafter. Bidders who do not personally pick-up their lots are obliged to transfer the amount due immediately on receipt of invoice. The handing over of lots can only be claimed after payment in full. Upon delay of payment the Auctioneer reserves the right either to sue the Buyer for payment or to cancel the sales contract without granting any further grace period and to claim for damages (including lost profits) according to article 107-109 CO. If payment is more than 30 days overdue, a surcharge of 5% and interest in the amount of 1% per month will be payable. 12. The lots sold will be forwarded by mail or by other means of transport at the Bidder’s risk and expense. 13. Any Bidders acting on account and behalf of a legal person must submit proof of their representation right (power of attorney, certificate of registration). They are personally liable, especially regarding the obligations entered into during the auction. Bids made for unnamed persons or for persons named later or for not yet legally existing persons cannot be considered. 14. Claims for damages against the Auctioneer for delay, non-performance, positive infringement of contract, fault in breach of contract are not permissible unless the damage was caused deliberately or through gross negligence. 15. The auction will be held under the supervision of the Zurich 8 City Council as participating authority. Neither the Councillor nor his representative nor the City and Council of Zurich are liable for the Auctioneer’s actions. 16. The auction and any subsequent legal relationship are subject to Swiss law. Place of execution and place of juristiction is Zurich 1. The Auctioneer, however, reserves the right to sue the Buyer at his place of residence. Unless any special regulations have been made in these terms of auction, the rules under the decree passed by the Zurich Court of Appeals on actions relating to voluntary public auctions dated 19.12.1979 shall apply.